Sales and Marketing Executive aims to enhance the profit of the company by developing various marketing and sales strategies that satisfy the customer’s requirement. For executing this primary job role, these executives shoulder various job tasks such as – promoting product among customers through various marketing strategies, preparing and planning sales and marketing plans, promoting company’s overall brand identity, planning and directing marketing and sales campaigns, analyzing and researching market trends, running campaigns using social media platform, and overseeing ad layouts. 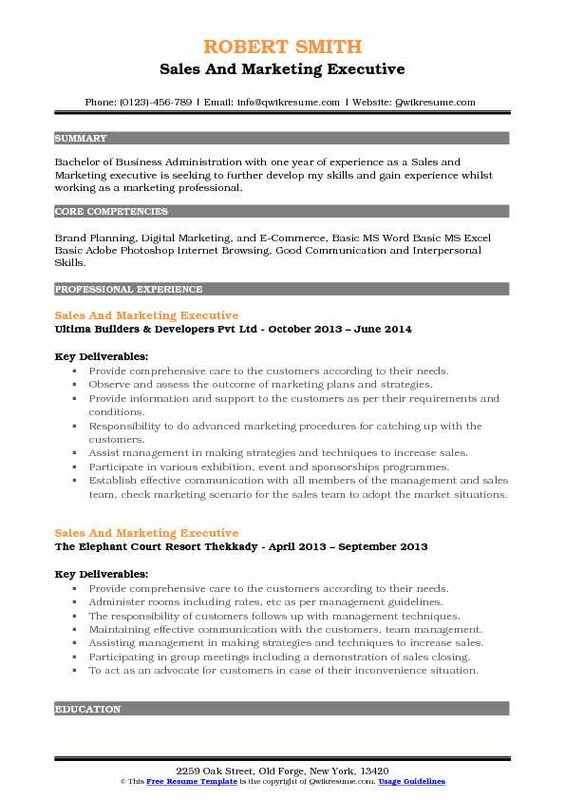 Typical skills expected on the Sales and Marketing Executive Resume include digital marketing expertise, experience in content development and website design, copywriting experience, sound knowledge of marketing and negotiation techniques, result-driven approach and extensive knowledge of relevant market trends. A degree in marketing, sales management or business administration is commonplace among sales and marketing executives. 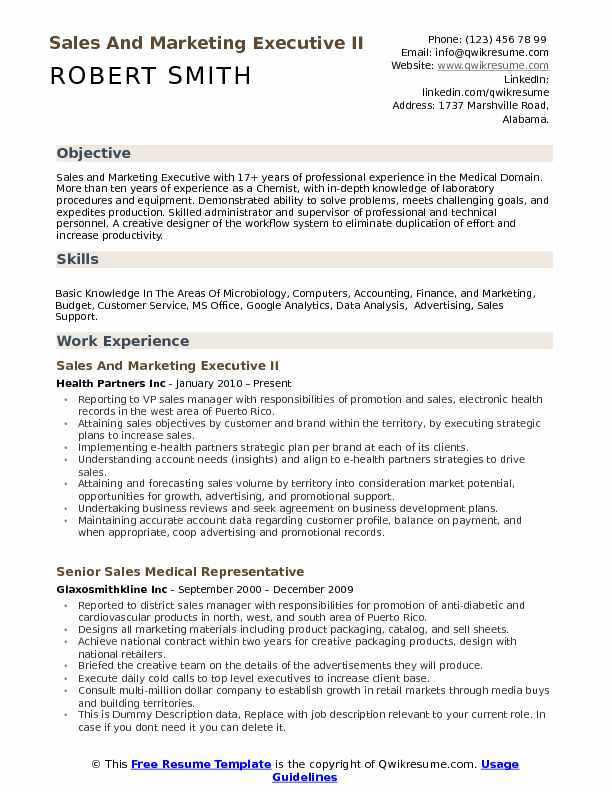 Summary : Sales and Marketing Executive with 17+ years of professional experience in the Medical Domain. More than ten years of experience as a Chemist, with in-depth knowledge of laboratory procedures and equipment. Demonstrated ability to solve problems, meets challenging goals, and expedites production. Skilled administrator and supervisor of professional and technical personnel. A creative designer of the workflow system to eliminate duplication of effort and increase productivity. Skills : Basic Knowledge In The Areas Of Microbiology, Computers, Accounting, Finance, and Marketing, Budget, Customer Service, MS Office, Google Analytics, Data Analysis, Advertising, Sales Support. Reporting to VP sales manager with responsibilities of promotion and sales, electronic health records in the west area of Puerto Rico. Attaining sales objectives by customer and brand within the territory, by executing strategic plans to increase sales. Implementing e-health partners strategic plan per brand at each of its clients. Understanding account needs (insights) and align to e-health partners strategies to drive sales. Attaining and forecasting sales volume by territory into consideration market potential, opportunities for growth, advertising, and promotional support. Undertaking business reviews and seek agreement on business development plans. Maintaining accurate account data regarding customer profile, balance on payment, and when appropriate, coop advertising and promotional records. Using the sales automation tool to all of its extents as a job requirement. Responsible for visiting customers according to schedule, submitting orders considering clients potential in the Puerto Rico market using current promotion, actual prices list and offering complete product line. Evaluating and monitoring promotional activities to ensure an adequate return on promotional funds. Responsible for providing a daily sales activity report, monthly report, monthly sales analysis by territory, and any other necessary date affecting the use of software operations such as competitive pricing, new products, entry, and others. Responsible for execution of any other special duties assigned by supervisor. Objective : 5 years of experience as a Sales and Marketing Executive is seeking to obtain a promotable position that will enable me to use my strong sales skills, marketing background and abilities to work well with people. Skills : Microsoft Office (Word, Excel, PowerPoint, Access, Outlook), Windows NT, Windows Server, Acronis, Symantec Suites, VM Ware, ACE/Server Installation, Clarify (help Desk Tracking Software), Siebel, SalesForce, Encompass, Genesis, Calyx Point, Factual Data, Adobe, Call Back, JDE, SAP. Helped with sales advice and questions along with internal systems, software, and product knowledge. Developed value-added campaigns, and execute technical solutions that streamline and improve marketing efficiencies. Continuously proactive in improving profitability, efficiency, goals, and quality above and beyond company standards. Assign, direct, document and review multiple product portfolios, as well as utilizing necessary team members for additional support. Product management of the complete sales portfolio acting as an interface to the customer account to understand their needs and requirements for business continuity. Ownership and management of internal and external market requirements. Interface with sales to define and agree on the scope of planned campaigns. Develop new growth opportunities within the northeast territory, work in unison with each department of the company to effectively transition new business into the company. Analyze and forecast monthly sales data of existing marketed companies within the designated area. Understood, developed, and grew market segments which included forecasting sales and products along with development execution of pricing and distribution strategies. Handle the highest volume account and teach potential clients about products through seminars and other special events. 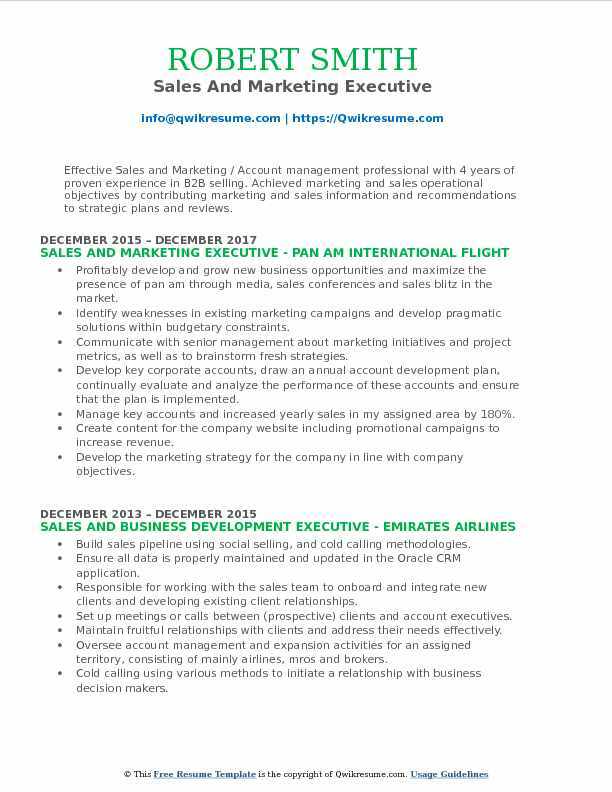 Objective : Passionate Sales and Marketing Professional with 3 years experience consistently driving sales and marketing strategy to achieve brand awareness and business goals. Versatile skills combined with the ability to lead the development and implementation of integrated marketing campaigns, enforce brand standards, as well as manage cross-promotions and form strategic partnerships. Skills : MS Office, Jira, HelpScout, Oracle CRM And Marketing On Demand, PR Newswire, AP Newswire, Constant Contact, Mail Chimp, Sprout Social (basic), Photoshop (basic), Google AdWords, KickApps, Mass bloggers, Metrix 4 Media, Internet Broadcasting APENPS, Newsgator, GraphicsGateway, NexGen, Cool Edit, Wizard Editor, Pro-Tools And GERS Retail System. Reporting Tools: Google Analytics, Add This, Webtrends, Google DART/Doubleclick. Consulting with clients about their online advertising and marketing needs to bring them a customized and professional online presence that will drive more traffic to their business on behalf of yacht closer web service, a leading website solutions company catered to the yacht brokerage industry. Conducting marketing strategies for yacht closer to achieve brand awareness, product, and business development. Identifying prospective clients and generate new leads through yacht closer accounts, cold calling, networking, and referrals. Growing current customer relationships by selling new website functionalities, features, and services. Utilize CRM software to track sales progression and communicate project needs. Directly managing entire sales process one-on-one with a client from initial website consultation and recommendations to new website design presentation, build revisions and final launch. Serving as front-end web developer and content strategist to prepare a site, communicate design production to back-end developers, also providing content management training and ongoing customer service after go live. Developing, implementing and assisting with integrated marketing strategies for yacht closers corporate brand and multiple products. Update yacht closer’s three product websites; yachtcloser.com, YCfinancial.com, and ycwebservice.com. Attending industry events and boat shows to represent the company by networking to create product/brand awareness. Since April of 2016, sold and produced 46 websites totaling $192,895 in web development along with $124,824 in 12-month service plans. Launched an average of 3 websites per month. With the acquisition by boat group, serve as custom website product manager by collaborating with their sales team for. Working closely with boat group web/SEO teams to build strategies for 2018. Summary : Accomplished Sales and Marketing Professional is seeking to transfer 12+ years of experience in Sales and Marketing. Results-focused, quality-driven professional with extensive experience in business and operational development. Demonstrating consistent achievement of objectives, through strong sales and service skills, and dedication to organizational goals. Skills : Ability For Stress and Time Management, Good Verbal And Non-verbal Communication, Having Strong Interpersonal, Presentation and Negotiation, Have A Good Level Command Over English, Motivated To Listen, Observe and Learn, Laser Focus Attention To Detail, Extraordinary Written and Communication, Good Team Player With Colleagues, Excellent Communication and Leadership Abilities To Expand Potential Market Segment. Contributing experience and expertise as an active member of the senior leadership team. Planning, directing, and setting the strategic direction of the sales and marketing programs to maximize profit and increase product and brand awareness. Directing the sales and marketing management staff in the effective use and development of business plans and strategies. Analyzing and evaluating the effectiveness of sales, methods, costs, and results. Developing and managing sales and marketing budgets, and oversee the development and management of internal operating budgets. Directly manage major and critical developing client accounts, and coordinate the management of all other accounts. Establishing and implement short- and long-range goals, objectives, policies, and operating procedures. Supervising the preparation, issuance, and delivery of sales materials, exhibits, and promotion programs. Working with department managers and corporate staff to develop five-year business plans for the company. Establishing a strong client base, and consistently contributing to sales growth managing wholesale accounts. 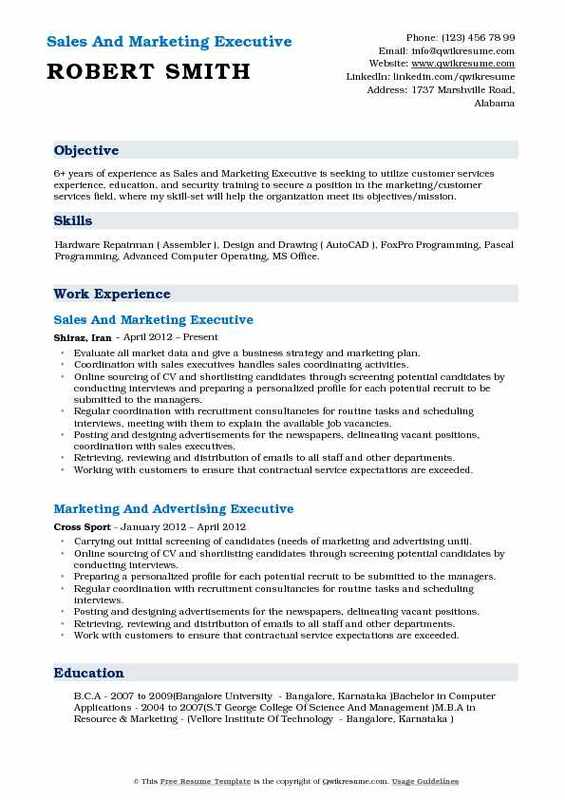 Summary : Competitive Sales and Marketing Executive with 8 years in media sales with vast media industry knowledge. Self-motivated individual who thrives with the challenge while establishing credibility. Build relationships with customers in the field of corporate sales. Driven to grow in Sales and Marketing by leveraging current experience and skills in a customer management role. 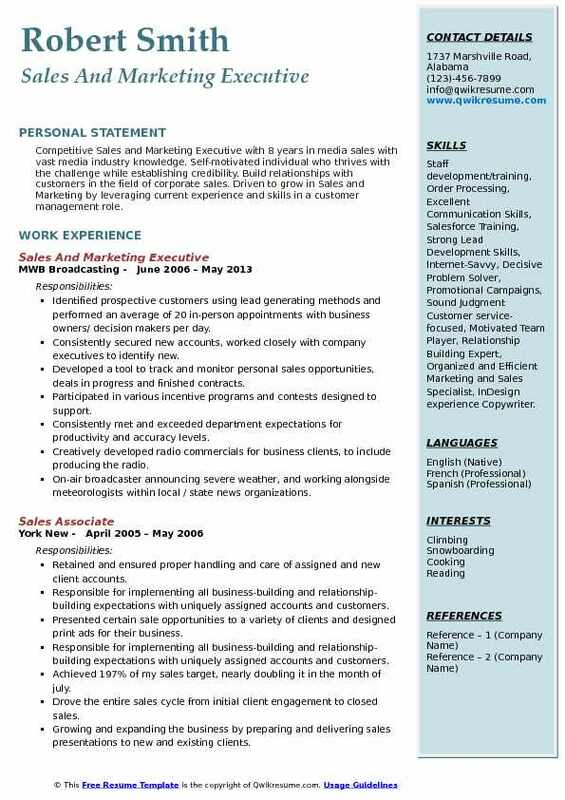 Skills : Staff development/training, Order Processing, Excellent Communication Skills, Salesforce Training, Strong Lead Development Skills, Internet-Savvy, Decisive Problem Solver, Promotional Campaigns, Sound Judgment Customer service-focused, Motivated Team Player, Relationship Building Expert, Organized and Efficient Marketing and Sales Specialist, InDesign experience Copywriter. Identified prospective customers using lead generating methods and performed an average of 20 in-person appointments with business owners/ decision makers per day. Consistently secured new accounts, worked closely with company executives to identify new. Developed a tool to track and monitor personal sales opportunities, deals in progress and finished contracts. Participated in various incentive programs and contests designed to support. Creatively developed radio commercials for business clients, to include producing the radio. On-air broadcaster announcing severe weather, and working alongside meteorologists within local / state news organizations. Public speaker for special events and held live interviews on the radio with non-profit organizations and profitable businesses. Took daily inbound calls and key-entered orders, faxes, backorders and credit memos for assigned. Responsible for implementing all business-building and relationship-building expectations with uniquely assigned accounts and customers. Headline : 6+ years of experience as Sales and Marketing Executive is seeking to utilize customer services experience, education, and security training to secure a position in the marketing/customer services field, where my skill-set will help the organization meet its objectives/mission. Skills : Hardware Repairman ( Assembler ), Design and Drawing ( AutoCAD ), FoxPro Programming, Pascal Programming, Advanced Computer Operating, MS Office. Evaluate all market data and give a business strategy and marketing plan. Coordination with sales executives handles sales coordinating activities. Online sourcing of CV and shortlisting candidates through screening potential candidates by conducting interviews and preparing a personalized profile for each potential recruit to be submitted to the managers. Regular coordination with recruitment consultancies for routine tasks and scheduling interviews, meeting with them to explain the available job vacancies. Posting and designing advertisements for the newspapers, delineating vacant positions, coordination with sales executives. Retrieving, reviewing and distribution of emails to all staff and other departments. Working with customers to ensure that contractual service expectations are exceeded. Other duties including data cleansing, lead generation, event management, and data profiling. Compiling and distributing financial and statistical information and writing reports. Objective : Effective Sales and Marketing / Account management professional with 4 years of proven experience in B2B selling. Achieved marketing and sales operational objectives by contributing marketing and sales information and recommendations to strategic plans and reviews. 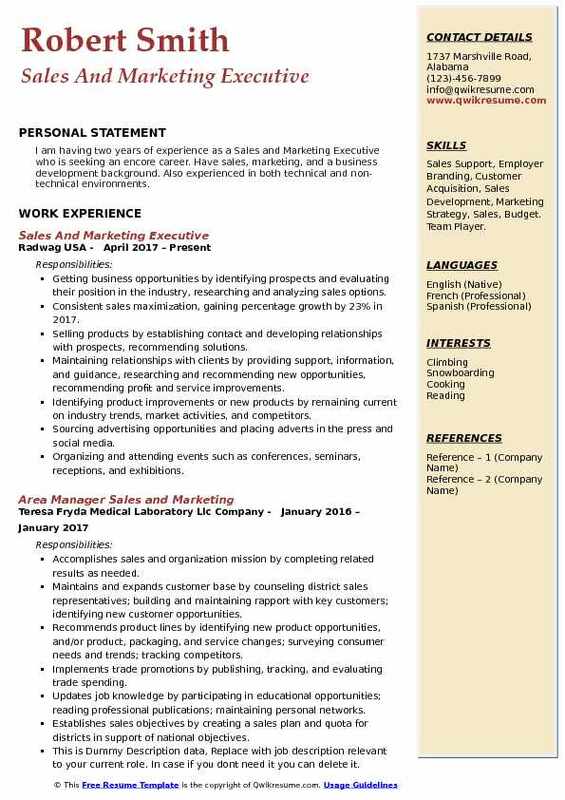 Skills : Sales Force, Hootsuite, Microsoft Office Suite, Excel, PowerPoint, Google Sketch-up, Revit, AutoCAD, Saber, Amadeus, Accelya, ARC, Concur, ADP, Fluent In Written And Spoken English, French, Arabic, Intermediate Knowledge Of Spanish, Elementary Knowledge If Italian And Portuguese Can Read And Write But Not Speak. Profitably develop and grow new business opportunities and maximize the presence of pan am through media, sales conferences and sales blitz in the market. Identify weaknesses in existing marketing campaigns and develop pragmatic solutions within budgetary constraints. Communicate with senior management about marketing initiatives and project metrics, as well as to brainstorm fresh strategies. Develop key corporate accounts, draw an annual account development plan, continually evaluate and analyze the performance of these accounts and ensure that the plan is implemented. Manage key accounts and increased yearly sales in my assigned area by 180%. Create content for the company website including promotional campaigns to increase revenue. Develop the marketing strategy for the company in line with company objectives. Develop a trusted advisor relationship with key accounts, customer stakeholders, and executive sponsors. Suggest innovative ideas to increase sales and improve customer experience. Manage account forecasts and communicate sales pipeline on a weekly basis. Objective : Bachelor of Business Administration with one year of experience as a Sales and Marketing executive is seeking to further develop my skills and gain experience whilst working as a marketing professional. 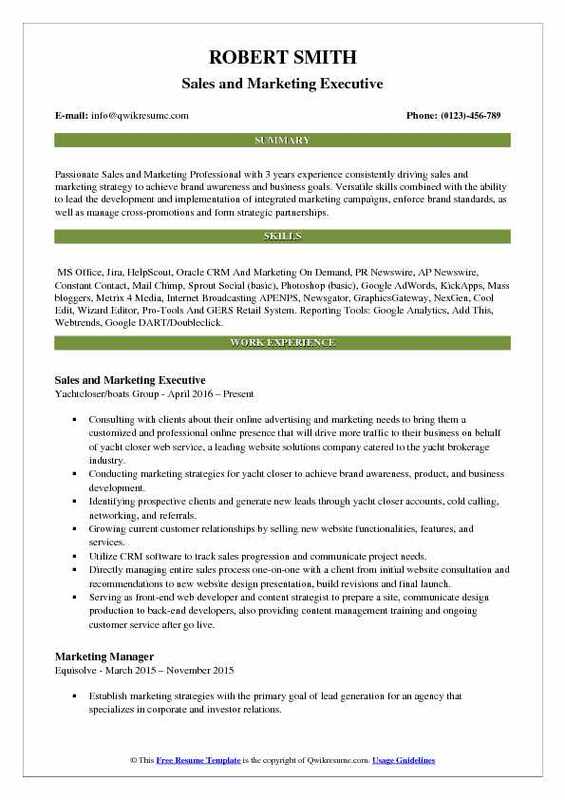 Skills : Brand Planning, Digital Marketing, and E-Commerce, Basic MS Word Basic MS Excel Basic Adobe Photoshop Internet Browsing, Good Communication and Interpersonal Skills. Provide comprehensive care to the customers according to their needs. Observe and assess the outcome of marketing plans and strategies. Provide information and support to the customers as per their requirements and conditions. Responsibility to do advanced marketing procedures for catching up with the customers. Assist management in making strategies and techniques to increase sales. Participate in various exhibition, event and sponsorships programmes. Establish effective communication with all members of the management and sales team, check marketing scenario for the sales team to adopt the market situations. Maintain self-reports, the customer update, and marketing performance. 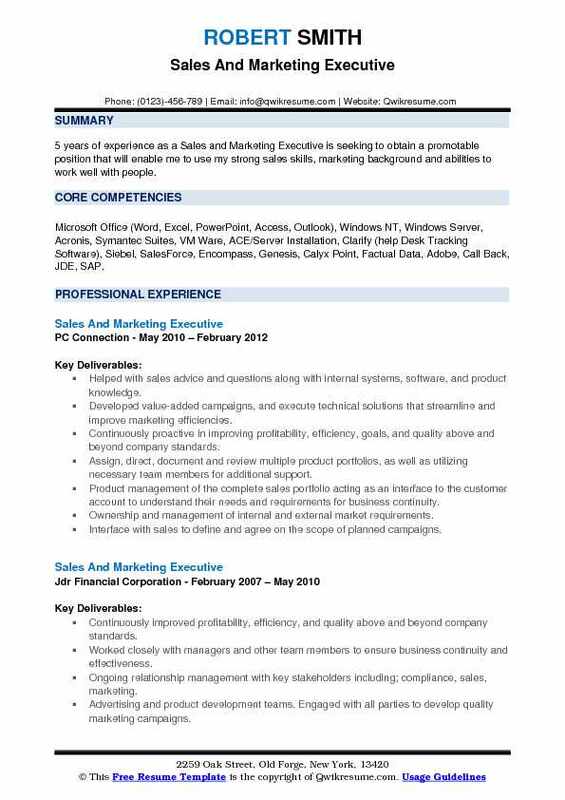 Objective : I am having two years of experience as a Sales and Marketing Executive who is seeking an encore career. 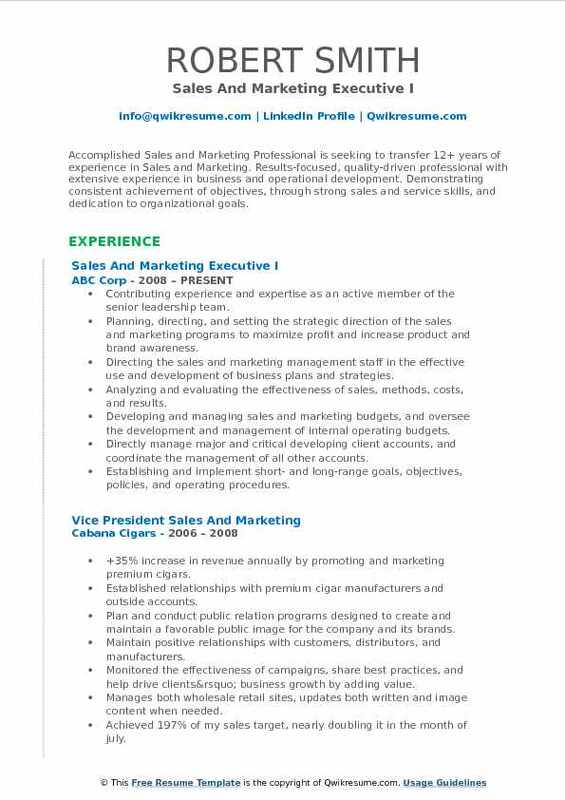 Have sales, marketing, and a business development background. Also experienced in both technical and non-technical environments. Skills : Sales Support, Employer Branding, Customer Acquisition, Sales Development, Marketing Strategy, Sales, Budget. Team Player. Getting business opportunities by identifying prospects and evaluating their position in the industry, researching and analyzing sales options. Consistent sales maximization, gaining percentage growth by 23% in 2017. Maintaining relationships with clients by providing support, information, and guidance, researching and recommending new opportunities, recommending profit and service improvements. Identifying product improvements or new products by remaining current on industry trends, market activities, and competitors. Sourcing advertising opportunities and placing adverts in the press and social media. Organizing and attending events such as conferences, seminars, receptions, and exhibitions. Managing the production of marketing materials, including leaflets, posters, flyers, newsletters, and e-newsletters. 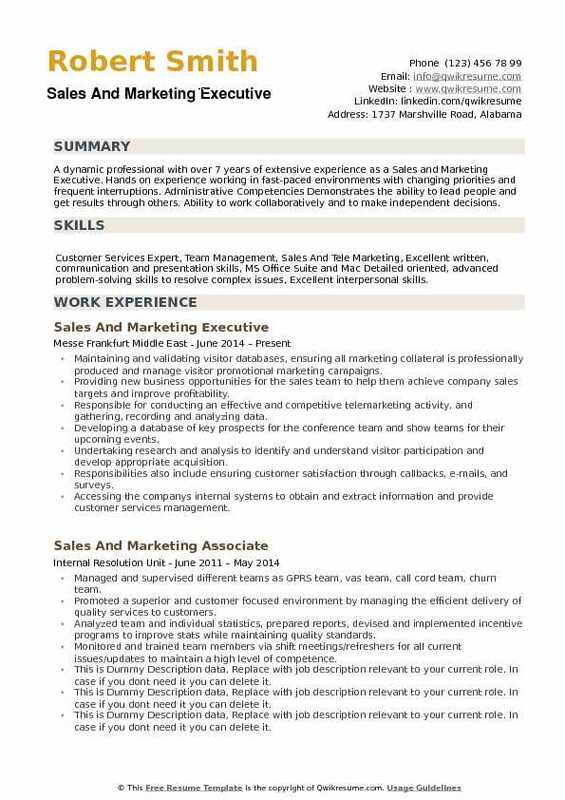 Summary : A dynamic professional with over 7 years of extensive experience as a Sales and Marketing Executive. Hands on experience working in fast-paced environments with changing priorities and frequent interruptions. Administrative Competencies Demonstrates the ability to lead people and get results through others. Ability to work collaboratively and to make independent decisions. Skills : Customer Services Expert, Team Management, Sales And Tele Marketing, Excellent written, communication and presentation skills, MS Office Suite and Mac Detailed oriented, advanced problem-solving skills to resolve complex issues, Excellent interpersonal skills. Maintaining and validating visitor databases, ensuring all marketing collateral is professionally produced and manage visitor promotional marketing campaigns. Providing new business opportunities for the sales team to help them achieve company sales targets and improve profitability. Responsible for conducting an effective and competitive telemarketing activity, and gathering, recording and analyzing data. Developing a database of key prospects for the conference team and show teams for their upcoming events. Undertaking research and analysis to identify and understand visitor participation and develop appropriate acquisition. Responsibilities also include ensuring customer satisfaction through callbacks, e-mails, and surveys. Accessing the company's internal systems to obtain and extract information and provide customer services management. Effective business matchmaking during exhibitions and seminars while onsite. Use networking opportunities to create successful on-going business relationships.